Fairly flat parkland course with burn running through it. Windy in winter. The 14th is one of the most difficult Par 4's in the north of Scotland. 18 holes, 6226 yds, Par 69, SSS 70. Visitors - restricted at weekends. 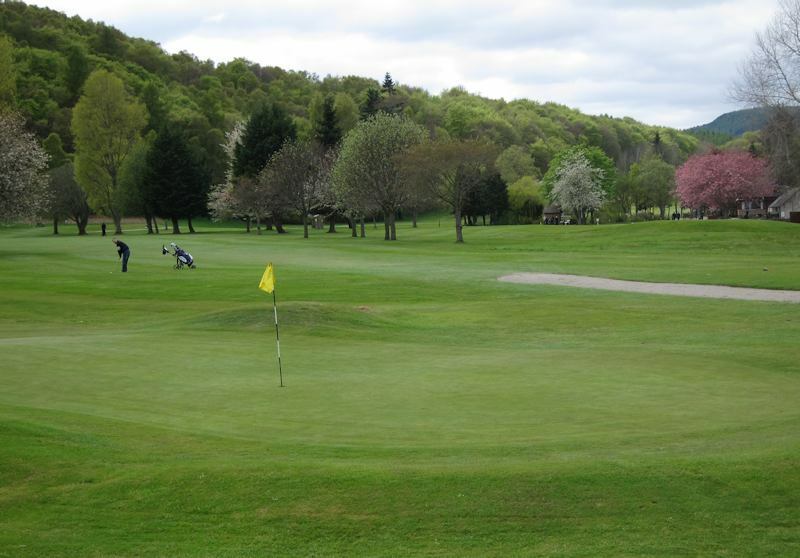 Located on the south side of Inverness there are 27 holes that would suit golfers of all abilities and coupled with the extensive range of facilities provide an all round experience as well as stunning views of the City. 18 holes overlooking the Caledonian Canal on the edge of Inverness. 400 acres of parkland around Torvean Hill. Visitors welcome. Moorland course, with narrow fairways and good views. Bordered by the tree lined Caledonian Canal. 9 holes, 5454 yds, Par 67, SSS 68, Course record 69. Visitors - No restrictions. Championship, seaside links founded in 1887 and created from a wilderness of heather and whin. Designed by A.Simpson, old Tom Morris and James Braid. Opening holes stretch out along the shoreline with a turn for home at the 10th. Regularly chosen for national championships. 18 holes, 6722 yds, Par 72, SSS 71, Course record 65. Visitors - restricted until 10.30am weekends. Links course with sea views and testing gorse-and whin-lined fairways. Breezy at 6, 7, and 8. Testing hole 'Long Peter' (527 yds). 18 holes, 6431 yds, Par 71, SSS 71, Course record 68. Visitors - must contact in advance and have handicap certificate. This parkland course was cut out from a silver birch forest though the fairways are adequately wide. There are natural hazards of broom and heather, good views and walking is easy. A round provides great variety. 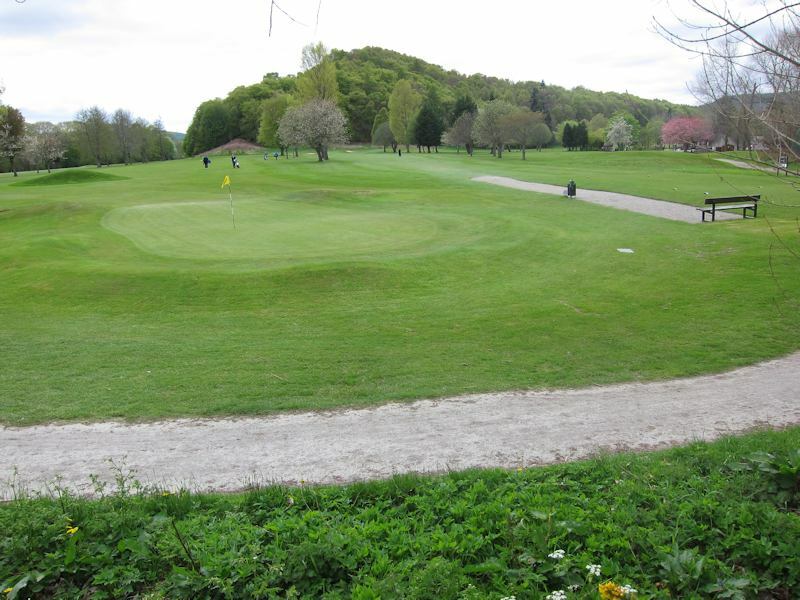 18 holes, 5837 yds, Par 69, SSS69, Visitors - Must contact in advance and have a handicap certificate. Short part-parkland, part-moorland course with magnificent views of the Cairngorms. 9 holes, 5300 yds, Par71, SSS 66, Course record 64. Visitors - restricted Sun, competition days and after 5pm Wed May - Sept.
Seaside links course, set on a peninsula with sea on three sides. Easy walking, good views. Designed by James Braid; the club was formed in 1888. 18 holes, 5973 yds, Par 71, SSS 69, Course record 64. Visitors - restricted 8.45 - 10.15am & 1 - 2.15 then 4.45 - 6.30pm. Old	established (1875) heathland course with tight fairways and easy walking. Testing 11th, 'Castle Hill' (par 3) 18 holes, 5202 yds, Par 67, SSS 66, Course record 61. Visitors - not permitted during specified draw times for medal tees. Restricted 11am - 12.30pm Sat & Sun. Upland course with many natural hazards (no sand bunkers), hard walking and fine views. Testing 3rd hole (par 3) across loch. 18 holes, 4792 yds, Par 65, SSS 65, Course record 60. Visitors - may not play during club competition times or until after 10.30am on Sunday. A short, but testing, parkland course with beautiful views over the Cromarty Firth and Black Isle. 9 holes, 2606 yds, Par 66, SSS 64, Course record 62, Visitors - restricted during competitions. Very challenging seaside championship links, designed by Tom Morris & John Sutherland.